While I studied in UK, I actually realised how popular our tandoori chicken is all over the world. I was flabbergasted to learn that the second favourite cuisine of Britishers is actually Indian after English food. I have come across some delectable Indian restraurants while I was studying in UK. Trust me, some of those restaurants actually stand up to our standards of authentic Indian food. 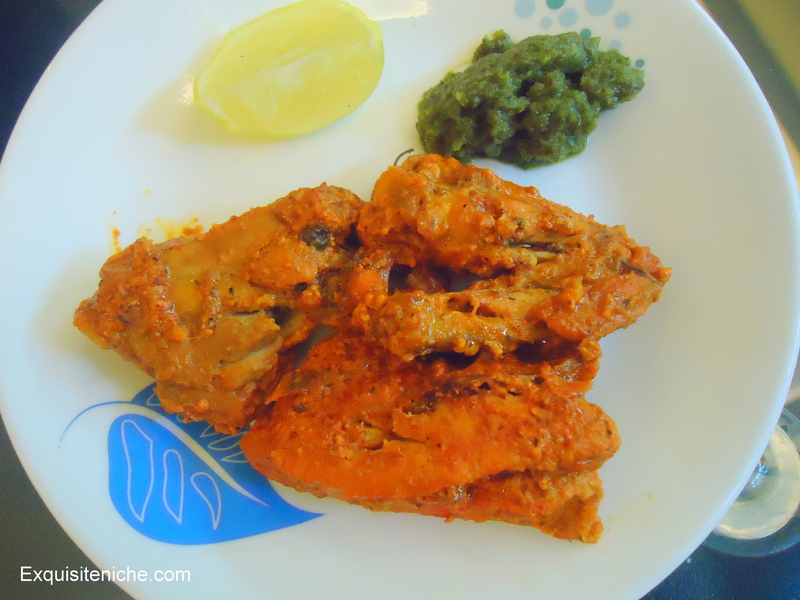 Most popular among foriegners is Tandoori Chicken. I remember some of my British friends enjoying this too. As promised to you, I had to bring you my version of a tandoori chicken. Also, you need to keep in mind that this would need some preparation ahead of time. Make cuts in the chicken all over with a knife. In a bowl, combine the yogurt, lemon juice, ginger garlic, cumin, ground coriander. black pepper, cardamom, food colour, cloves and salt. Stir until well mixed, then pour over the chicken and rub into the flesh. Cover and referigerate for 8 hours or overnight. Remove the chicken atleast 30 minutes before cooking. The chicken may be grilled or roasted. Remove the chicken from the marinade, pressing lightly extract excess marinade, and brush with oil. Roasting: Preheat to 230 degree celcius. Place the chicken on greased rack, brush with oil and cook for 25-30 minutes. Serve with mint chutney and lemon wedges. You are gonna love this one. It is really easy to make and delicious at the same time.